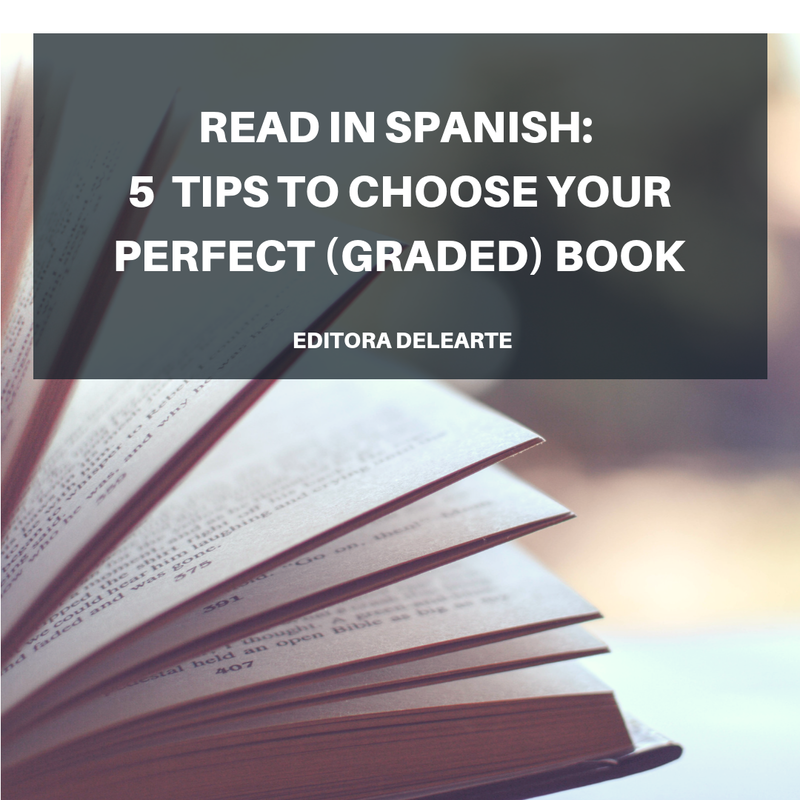 Choosing the perfect Spanish (graded) book may seem a little bit difficult if you don't know what to look for. Nowadays, there are many options on the market so in order to choose the best one for you, we have some recommendations. Before starting, there is something basic that you need to be sure about: what your Spanish level is. You can check that by taking one of the three online tests we have chosen for you. Also, you have to understand that a graded book is not a regular book: it has been adapted for your language level. That means, everything you read will be somewhat easy to understand but at the same time, it will challenge you a little bit. Once you know your level and you understand that there are books adapted for your Spanish knowledge, the next step is finding your book. 1- Check the publisher: What type of publishing company is it? Does it work in the language field? Is it a recognized publishing company? 2- Check the author's information: What are her/his credentials? Does she/he work in the language area? Is she/ he an authority on the matter? 3- Check if they offer a sample: Are they offering a sample to check the content? If they do: do you feel comfortable while reading it? Too comfortable? Is it too challenging? (*Remember: graded books should offer some sort of difficulty so you can improve your Spanish. So if it is too easy, you are ready for the next level). 4- Check the description: Do they explain what you can expect to find as for grammar structures, vocabulary, etc? Do they offer a vocabulary list? Does the book include activities for a better understanding of the story? 5- Check the genre: Even if it may sound silly, it is better if you choose a genre that you like to start reading in Spanish. It will make your reading much easier and fun! Once you have checked these five points, you are ready to choose your graded reader.